Whether you are a buyer or a seller, the goal is the same. You want the best real estate representation you can find to help guide you through the home buying or selling process. In today’s market, every buyer and seller needs that extra edge. Let our 30 years of experience put you in the best position possible. Whether you’re buying, building, remodeling, or preparing to sell your home, we would welcome the opportunity to work with you. 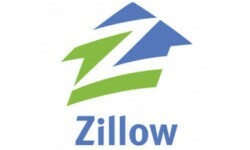 We've been telling clients for a long time Zillow and Zestimates can be very inaccurate. In this recently published article the CEO of Zillow admits to the inaccuracies with the data on his company's site and others go on to point out the bigger problem when combining nationalized data with localized data. LA Times February 8, 2015 / Reporting from Washington Inaccurate Zillow 'Zestimates' a source...Continue Reading! When asked to help one of our builder partners sell a home they were having difficulty selling we jumped at the opportunity. The builder had purchased the home from a customer as a potential remodeling project. 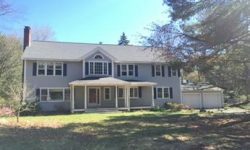 The home was in need of extensive renovation but offered an exciting blend of charm and character. After several months of work the home had a new modern kitchen with granite...Continue Reading! We uncovered this wonderful good bones home in Weston for one of our investment partners who purchased the home for $1,050,000. The home was listed for sale in need of extensive renovation and repair. 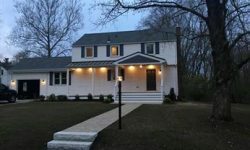 The home was originally a ranch style home that underwent a previous renovation to become a colonial. 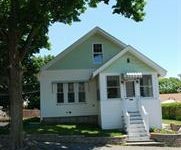 Our investor partner provided the capital to purchase the home in the hopes of turning a profit...Continue Reading! 7 Rodney Terrace listed for $384,900 and sold in the first weekend for $420,000. This was one of our classic home owner partnership opportunities. The home owner knowing that their home needed significant improvement to sell contacted us to structure a partnership opportunity. We told them we had a builder client looking for a remodeling project willing to partner with a home owner bringing the construction cost...Continue Reading! 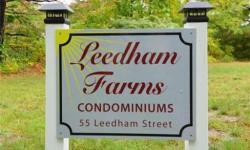 Hard to believe you can buy a home in Massachusetts with almost an acre of property for $77,600. I sold this home to one of my dear friends after weeks of us researching the details of this foreclosure. The home was being sold as is and my client plans to live in the home and completely remodel the property. He is a carpenter by trade so...Continue Reading! 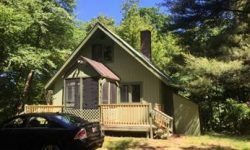 Click on link below to read full story: Massachusetts home sellers being forced to drop their asking price, in these towns most of all. Continue Reading! Where do the most millionaires live in Mass.? By Johanna Seltz GLOBE CORRESPONDENT APRIL 22, 2015 Cast a line in Newton, Wellesley, Winchester, or Hingham, and you are likely to snag a millionaire. The chances drop markedly, though, in Avon, Ayer, and Chelsea. Those odds are courtesy of the state Department of Revenue, which recently released its latest figures on the number of Massachusetts taxpayers reporting incomes of...Continue Reading! After helping our client sell their Dover home of 23 years we were able to help them downsize to this wonderful Natick Center condo. Single level living welcomed her in this luxury condo building with a short walk to everything including summer concerts on town Common, boutique restaurants, shops and MBTA Rail to Boston. 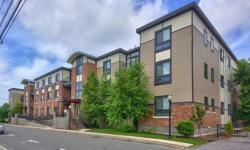 With panoramic cityscape views from throughout this 5 year old unit and...Continue Reading! Houzz is one of our favorite resources for ideas and ways to save when remodeling your home. Below are some great ideas from Houzz and helpful tips to save money on your next kitchen remodel. We would often incorporate ideas from this source into our own remodeling projects and would get rave reviews from our customers and people who saw our work. We are happy to consult...Continue Reading! After helping our client sell their beautiful West Newton Hill property for $2,000,000 we were able to put them into this awesome 3 bedroom condo in a very convenient Newton location. Even though this condo alternative consisted of a total of 8 rooms on three levels, with 3 bedrooms and 3 full baths this home was a considerable downsize in size and price. They came...Continue Reading! We recently helped a client with a downsize as she transitioned from a decent sized four bedroom Colonial in Norfolk to a completely renovated condo in a very convenient location close to her work. Interestingly the home was recently purchased as a short sale and completely updated prior to going on the market. Timing is everything and we were able to get our client in at...Continue Reading!